A few years ago I wrote an article for the site Offbeat Families (it was called Offbeat Mama back then), on the best cameras for kids. I covered different types of working cameras, both film and digital options, such as kid-specific cameras (i.e. "built kid-tough"), used or refurbished cameras, and other "fun" options like Lomo cameras. 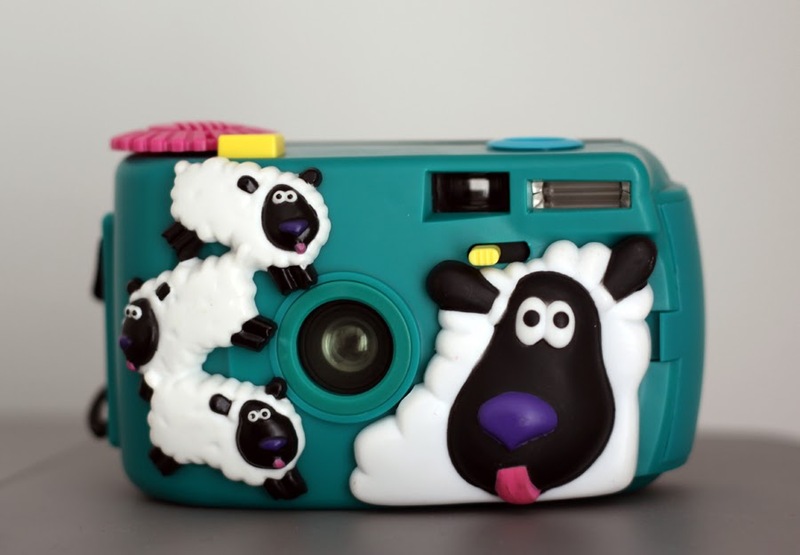 Of course, it's easiest these days just to hand your kid your camera phone, but there's multiple reasons why giving them their own camera is more beneficial. If you enjoy photography and are hoping to get your child into it too, here's my step-by-step recommendations for which cameras to get your little one from birth to about age four to five (at that point, I think they're probably ready for one of the cameras listed in that previous article). 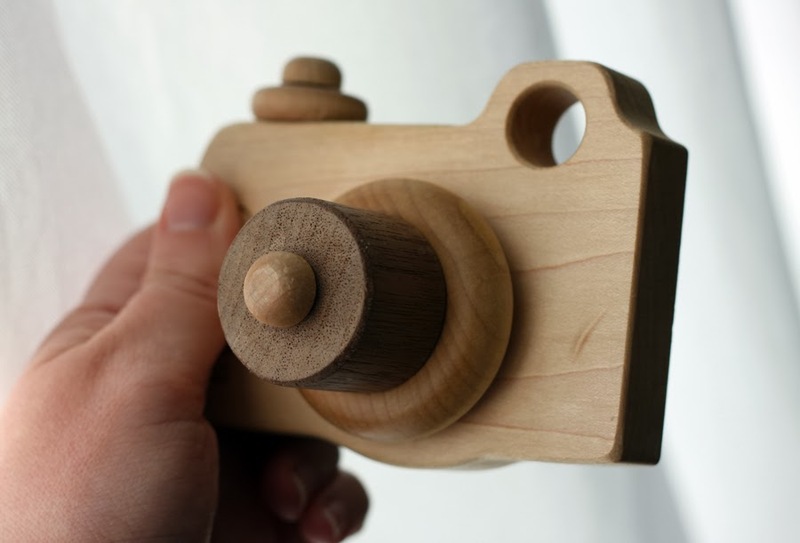 Wooden Toy Cameras- These are typically handmade and are great for infants and young toddlers. 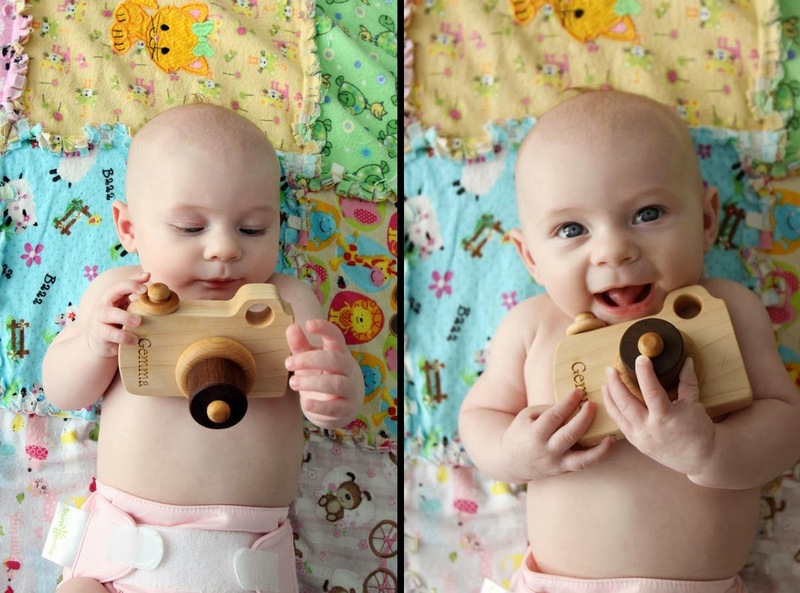 Wood has natural antibacterial and antimicrobial properties, so it's a great material for teething babies! This particular camera also has moving parts on it (the lens has two parts that spin, and there's another spinning piece around the "shutter release"), which aides in fine motor development. A good place to purchase one of these is on Etsy. 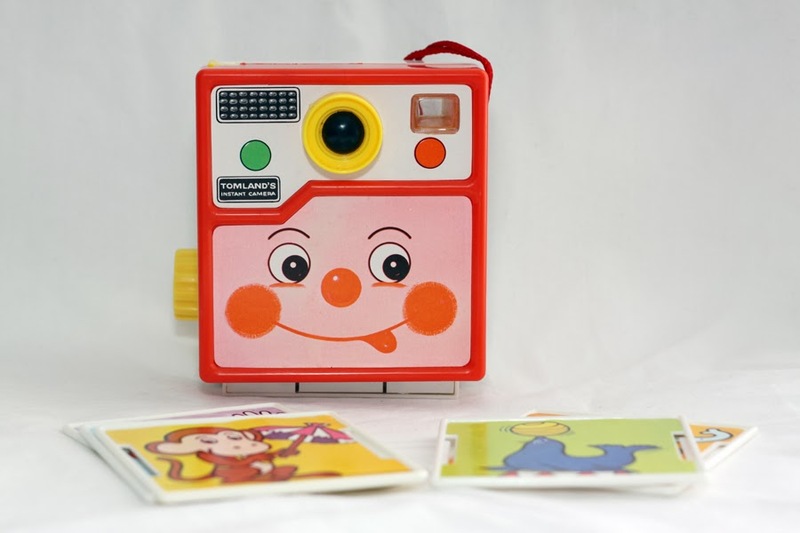 Vintage Plastic Toy Cameras- These are my favorite for toddlers because they are bright and colorful, have moving parts, and often have different little "activities" built in. All of that means they are able to hold a busy toddlers attention for a little bit longer. Some have spinning color wheels, turning "flash cubes", rotating picture stories, or even require more "real life" action, such as loading the film cartridges, advancing, pushing the shutter release, and removing the "picture". These actions help toddlers learn cause and effect while having fun. 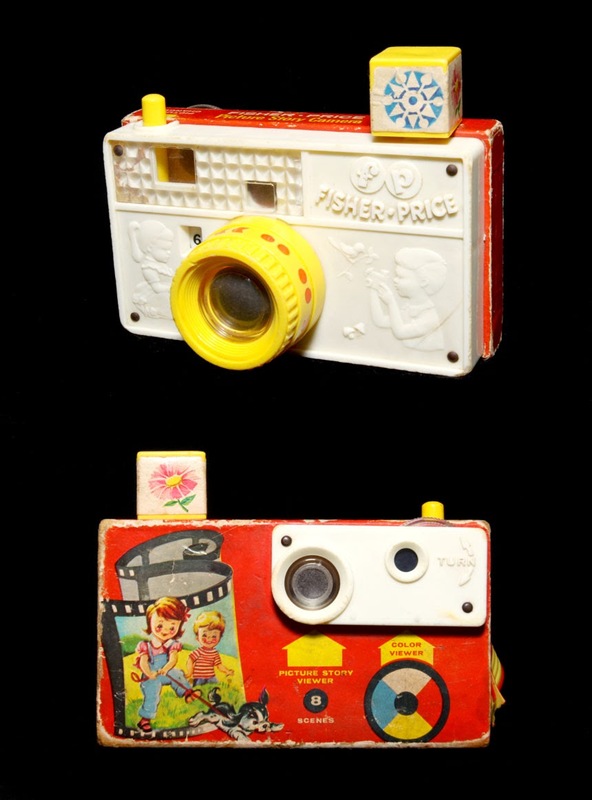 Added bonus, a lot of us (now parents) grew up with toy cameras like these, so it's a fun bit of nostalgia for us too. These types of cameras can be found in antique stores, on eBay, Etsy, at yard and estate sales, and even sometimes in thrift stores. Real Kids Cameras- These are great for kids that are getting the concepts involved with taking real photos, like purposefully taking a photograph of something specific, and framing. These may be digital or film cameras, but are fun enough to keep their interest, and actually take a real picture. This helps to get some creative juices flowing, learn cause and effect, and get a new skill under their belt. These can be found in numerous places including toy stores and various sites online. For our breakdown of the different options of real, working cameras for kids, read our article HERE.